Whether you’re getting your tyke ready for a special Christmas event or an upcoming costume party that requires a little arctic touch, this Dream Weavers Costumers creation has exactly what you need. 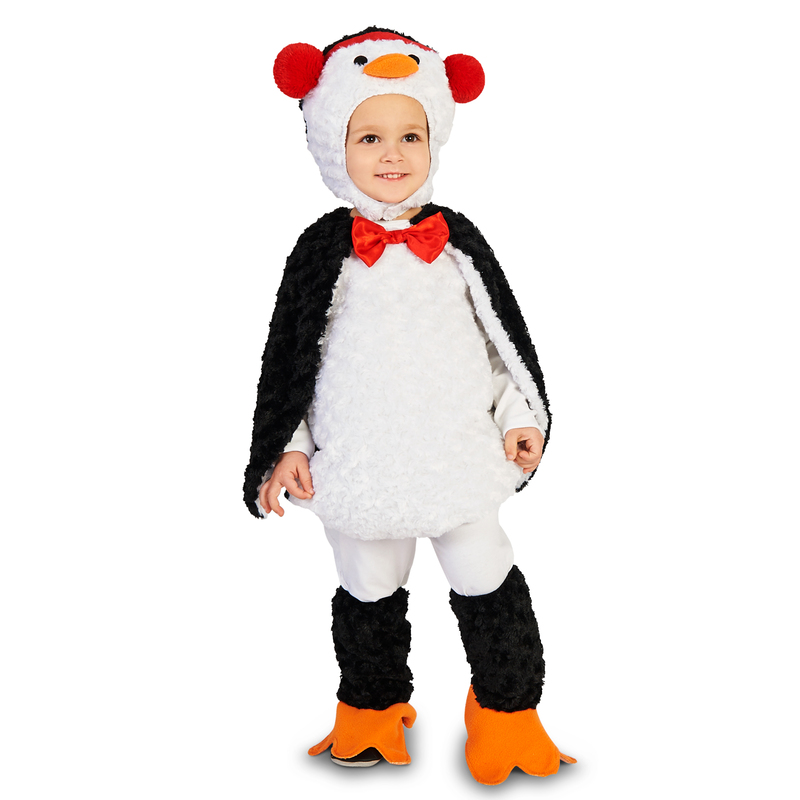 This charming toddler animal-themed costume is reminiscent of the Penguins of Madagascar, the bodysuit with attached wings and padded belly is a soft and plush poly knit and the detached headpiece features the cuddly penguin face and red earmuffs. 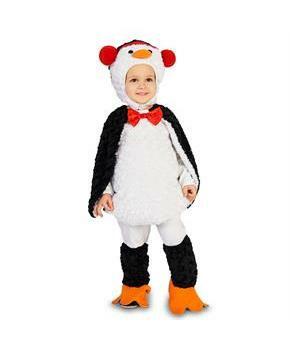 Completing the costume are fleece bootcovers and a red bow tie attached at the neck to complete his penguin tux look. Your friends and family are bound to be impressed by this funny, loveable costume, making your tot the coolest one at the party.